It’s time to pull out all your green scraps and put them to good use! 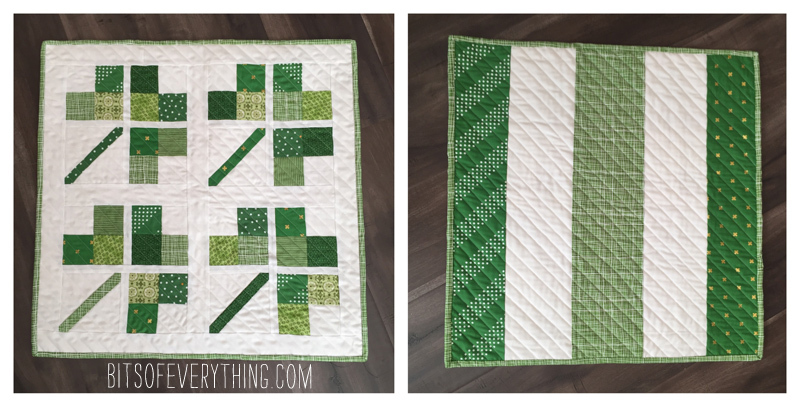 The other day I whipped up this green table runner that will be perfect for St. Patrick’s Day. Finished size is 21.5 X 21.5 inches. Each clover block measures 9 inches unfinished. 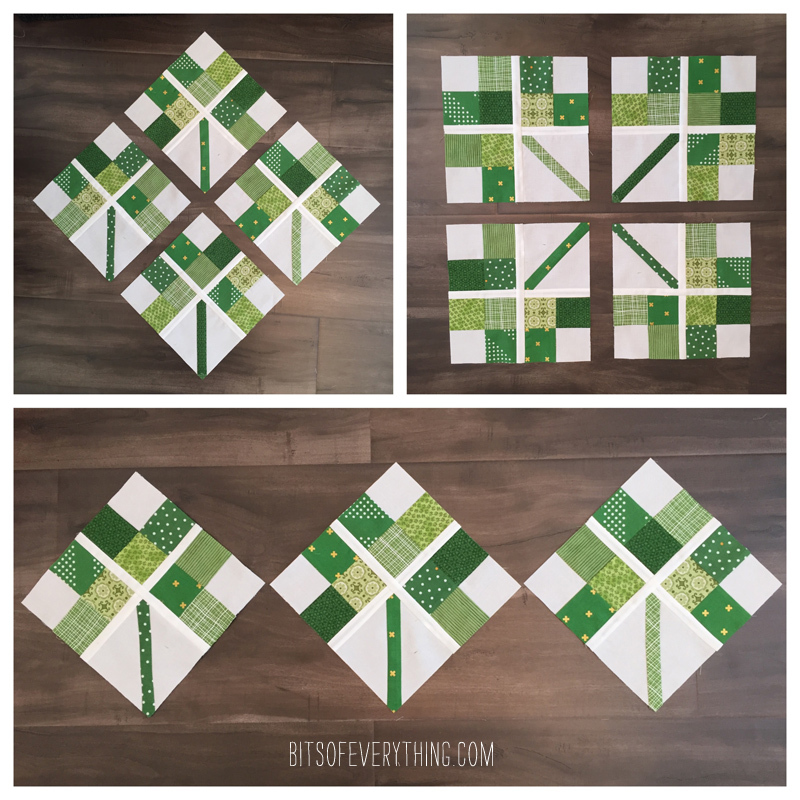 It’s a simple little 4 patch quilt block pattern. I used my scraps, so I didn’t do anything fancy, just cut the squares and sew them together. If you want to stick with squares, mark your diagonal lines on all your white squares. Line up the white square in the corner of the green square and sew down your pencil line. Trim and press seam. Repeat on opposite corner. Then, square up your block to measure 4.5 inches square. 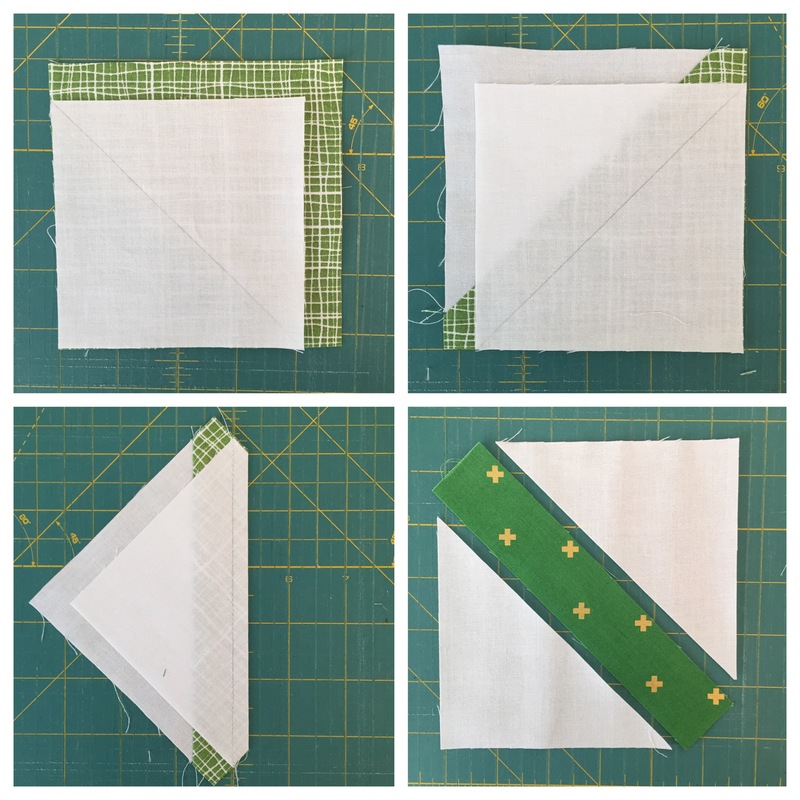 If you choose to just cut strips of green (this way will have less fabric waste), you just need to line up your diagonal seams, which can be tricky. I had to unpick a time or two to get them to line up right. 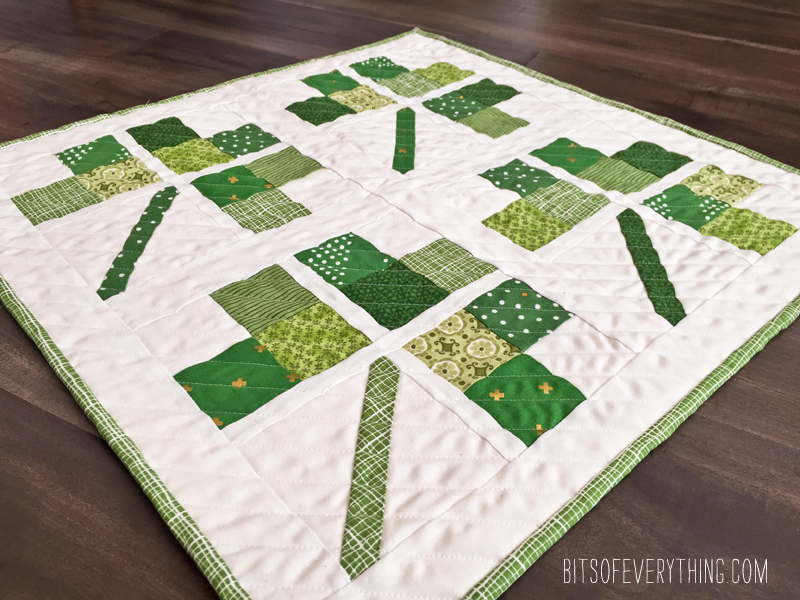 After it’s sewn together, be sure to square up your block to measure 4.5 inches square. Add your 1 inch sashing in between your clover pieces. Now it’s the fun part. Deciding how to put your blocks together. Here are a few ideas I was playing with. This time I decided to make a square table topper. 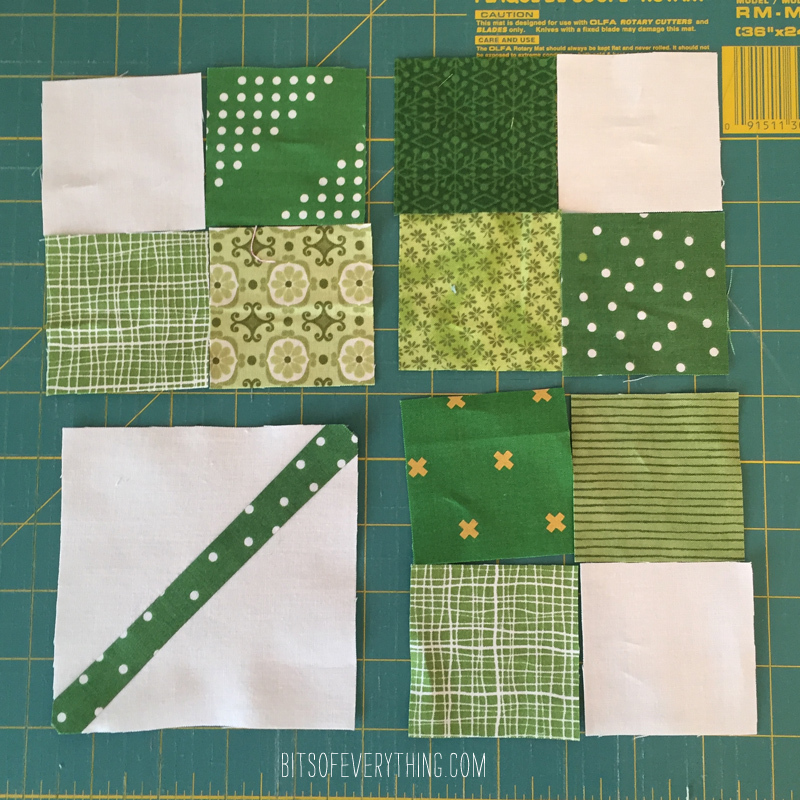 Add your 2 inch sashing in between the blocks and you are ready to quilt, bind, wash, and love! I used some green and white scraps to create my backing. I choose to do straight line quilting about 3/4 of an inch apart. I just love how it turned out! Enjoy! Width of Fabric. Usually it’s about 42-44 inches wide. Hi Have you ever made a table runner on a loom?